When was it Found, and What is it? 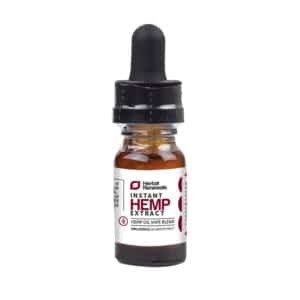 Thanks to resources on our website that can tell you all you have wanted to know about cannabidiol, you might be thinking, “oh, gee, there’s cannabidiolic acid too? What is that, and is it complicated?” But fret not; most information on the compound relates directly to what we know of cannabidiol. In fact, both cannabidiol (CBD) and cannabidiolic acid (CBDa) fall under the “cannabidiol class” of compounds. CBDa is actually the acidic precursor for the metabolite cannabidiol. THC has an acidic precursor, and so does CBD. CBDa was first isolated in 1955 and was also the first cannabinoid acid to be discovered, according to a compiled record of the chemical constituents of cannabis by Rudolf Breneissan. Did you know there are 483 compounds identified as unique to cannabis? But the ones that get the primary focus are cannabinoids THC and CBD, which have the largest body of studies. CBD and CBDa are the most abundant cannabinoids you will find in industrial hemp, which is what our all-natural products are derived from. How does Cannabidiolic Acid Turn into Cannabidiol? CBDa turns into CBD through a process called decarboxylation. This is usually accomplished through heat application, which can be done with either cooking or smoking the plant. This is why some raw plants, if juiced, will not have active THC in them since it has not been activated through heat. However, long exposure to sunlight and a warm environment can do the same thing to CBDa and THCa in a plant. It is also necessary to mention that your metabolic system alone will not necessarily decarboxylate things. For example, according to Aphios, a Delaware research company, the compound of THCA can be very unstable outside of a living organism. To quote, “It is stable for 3 months at -20°C, 2 weeks at 5°C, and 4 days at room temperature.” But in vivo, or within a living organism, it is quite stable. Cannabidiolic acid actually comes from yet another acid, cannabigerolic acid. According to a study found in the Journal of Biological Chemistry, the enzyme responsible for this transformation can be purified. It is called CBDa synthase. It catalyzes the oxidative cyclization of cannabigerolic-acid into CBDa. We have known for a while that different strains of cannabis plants can be grown. But it wasn’t until as recently as 2011 that the entire genome of two strains, Cannabis Sativa and Cannabis Indica, was sequenced by Medicinal Genomics, a private company headquartered in Marblehead, Mass., USA and the Netherlands. What they found was rather astonishing. If you are not a genetics buff, simply consider that, among humans, different as we may appear to one another, our DNA collectively differs less than 1%. We are, on average, 99.5% similar in genetic makeup to any other human being we encounter. That is pretty crazy considering how much we like to fight, isn’t it? Medical Genomics was surprised, then, by their finding that cannabis strains can differ by a figure equivalent to 10 times the variation of the human genome. When trying to figure out the concentration of cannabinoids in certain strains, bear in mind that, with the advent of dispensaries in America, producers are breeding new strains more than we breed dogs and cats. Strains are frequently being invented for their varying effects, either for psychotropic means or for soothing therapeutic means. And, as mentioned in the previous paragraph, the genetic variety between these strains is actually relatively vast. Developed in Israel by breeders working for a government-licensed cannabis company called Tikum Olam. CBD concentrations in industrial hemp are technically lower than the aforementioned strains; however, more hemp is simply used to produce the concentration of CBD desired. 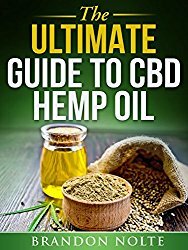 Hopefully, you have learned a bit more about CBDa and its role in the synthesis of CBD. CBDa also contains certain properties on its own that CBD doesn’t. 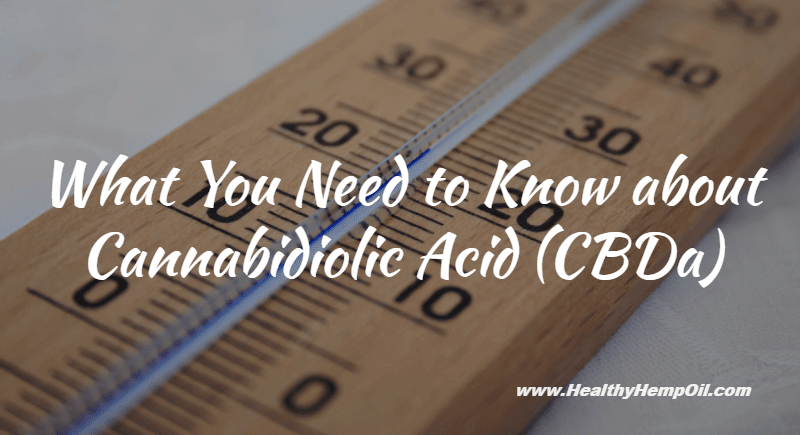 CBDa is the acidic precursor for CBD, activated through various methods of heat application. It was also the highest occurring cannabinoid found in industrial hemp (fiber-based cannabis). 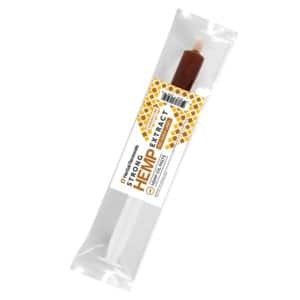 And finally, hemp products are generally taken from the stalk, and not the flowers, of the cannabis sativa plant. 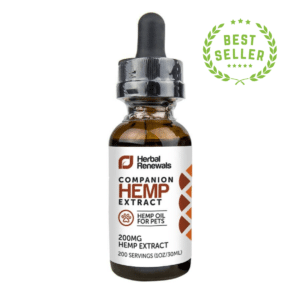 We hope you have found this information helpful as you navigate your way toward finding the right, soothing cannabidiol product that works for you. 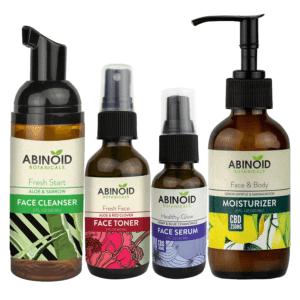 Our products are all natural and are great for dietary supplementation. Please ask us any questions you have about industrial hemp, where it is produced, and how the CBD is extracted. You might even own products made from industrial hemp. What use have you experienced for industrial hemp?